American politician Kevin McCarthy has rightly said, “My belief is you have one chance to make a first impression.” For companies, first impression acts as major chance to deliver lasting impact on the clients. Therefore, they must have a robust phone answering process for their business. Companies can even hire third party vendors to handle calls on their behalf. 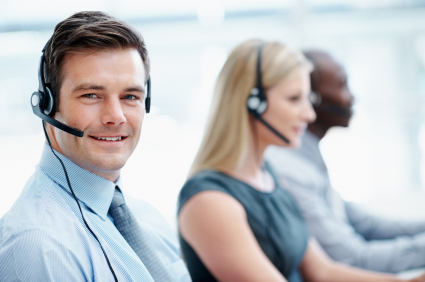 Let’s discuss the benefits of outsourcing phone answering services. If you offer toll free number by taking support of outsourcing vendors, you can offer delightful experience to your customers. The toll free number not only allows free calling option to your customers but it is also easy to remember. It also helps in developing a positive image of your brand. Long term relationships are established through finest form of communication skills. And agents working at call centers are expert in talking to different types of clients. Therefore, you can be sure that your process is in the hands of proficient people. These call center outsourcing companies modify the training sessions as per the changing trends in order to offer better services. Even if you operate your business for 8-9 hours per day, you can offer 24/7 helpline for the customers. It is possible as various renowned outsourcing companies operate round the clock for offering these services. This also ensures that you don’t miss sales related opportunities due to unavailability. If you are handling support activities like phone answering related to your business, it may impact your core activities. This is because your time and energy are diverted due to which you are not able to dedicate yourself in the work. As a result, the scope of growth related to your venture remains restricted. On the other hand, outsourcing phone answering service will remove burden from your shoulders and you can totally dedicate yourself for the betterment of your business. In order to have a successful meeting with existing or potential clients, appointment scheduling is required by the firms. Taking support of a third party vendor for this process will definitely help in leaving a better mark related to your company. This will also make sure that no mistakes are committed related to details of the appointment. Hiring one or more receptionists to handle calls on behalf of your business can be a costly affair. Infrastructure along with equipment related to phone answering also requires additional spending by the firm. You can save all these expenditures if you outsource this process to a trusted company, which charges reasonably for this process. Having a proper telephone answering process adds reliability factor related to your business. As a result, clients have an assurance that they are dealing with right company. Ultimately, the reputation of the firm in the market is magnified. Therefore, choosing the best service can help your firm in multiple ways. Vcall Global offers phone answering services, which has already supported organizations from different areas of business.